The sixteen short stories in this collection are all set in and around the village of Blaxhall in coastal Suffolk. From the white doe appearing through the dark wood to the blue-winged butterflies rising as a cloud in reminder of happier times, the creatures of the Suffolk landscape flit and flicker through the tales. The enigmatic Mr Napier is feeding a fox rescued from the floods; an owl guards a cache of long-lost letters; a nightingale’s song echoes the sound of a loved voice; wheeling rooks above the patchwork countryside retrace the arc of a wartime Spitfire; in a Martello tower on a deserted shore Dr Whybrow listens to ghostly whispers. Through the landscape and its wildlife, through human and folk memory, the past is linked to the present and generations of lives are intertwined. A reviewer being scared by one of my stories! “Thornton’s stories are quiet, delicate and full of wonder. They slowly weave their way into your heart, where they remain. They are poignant, poetic, lush with the landscape, wildlife and history of Blaxhall and beautifully written but, above all, they are perfect. By perfect I mean perfectly composed—each word earns its place, and then some. Each character, each setting, each paragraph hearkens back to another, lending a satisfying, almost musical, quality of resonance within the stories and, indeed, within the collection. 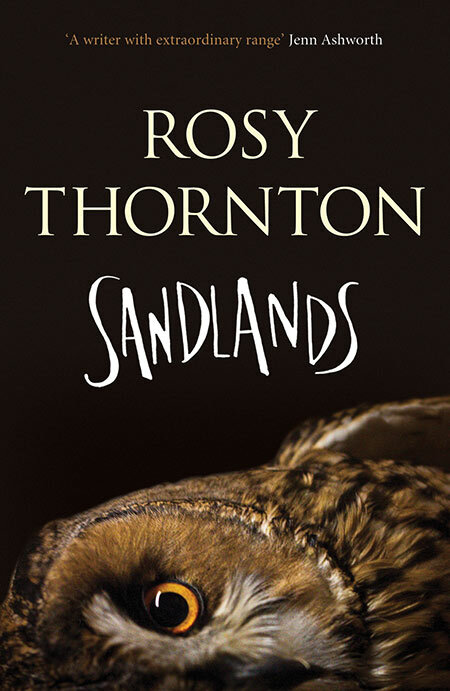 Hi Rosie, I can’t wait for Sandlands. Yay. I read a lot and have a house full of books. But yours is the only complete collection that I own. And you are the only author whose website I haunt, awaiting the next publication. I love your writing. Thankyou. Sandi, Australia. Sandi, that is so kind of you. You have made my day! Hi Rosy, I’m so sorry, I think I spelt your first name wrong in my last message. I went to Bookfinder and I couldn’t find you. Then I realised what I’d done with your first name. I am an extremely mature, mature-aged student with Open Universities Australia (OUA) and the first name of my last lecturer was Rosie. So that’s my excuse 🙂 Anyway, I have pre-ordered Sandlands from Book Depository. Thankyou so much. Sandi.